After describing the plastic problem in our recent posts here and here, as promised, we are continuing our series with recommendations for small steps that we can each implement easily in our daily lives. Over time, these simple steps will hopefully make a significant reduction in our plastic use. Why don’t you make it a family project this summer by documenting how much less recycling/rubbish you are generating on a weekly basis?! Step 04: Plastic Cotton Buds! Such a small and simple little item that we may use on a daily basis but one that, should it make its way in to our water systems, can end up in the ocean to be eaten by fish and other marine creatures. On finishing a box of plastic cotton buds last week, I went on the search for an environmentally friendly alternative. It took a lot less effort than I thought it would… in the first bio-shop I went to, I found a box of organic cotton buds: packaged in cardboard; the stems made from biodegradable paper and the cotton buds made from sustainable organic agriculture. This was an easy change to immediately implement at home. The cost difference was also minimal, making it an even more palatable change to make. 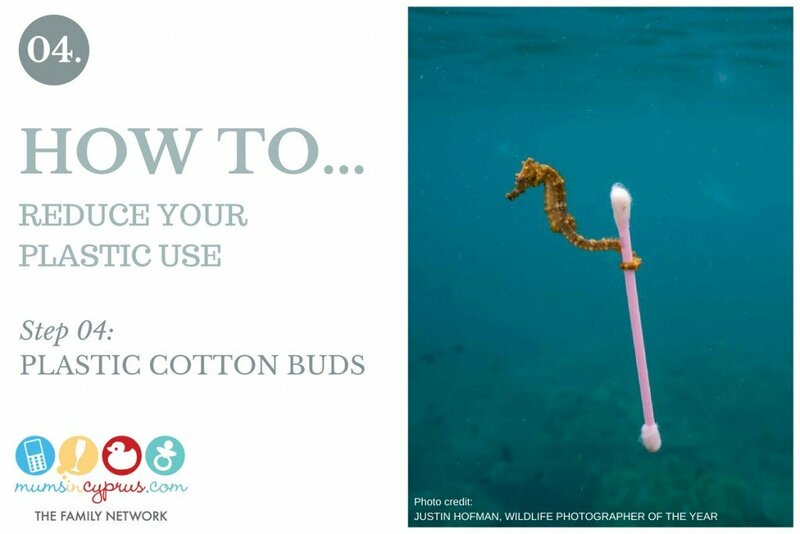 Has anyone got a reusable alternative to cotton buds? Let us know!